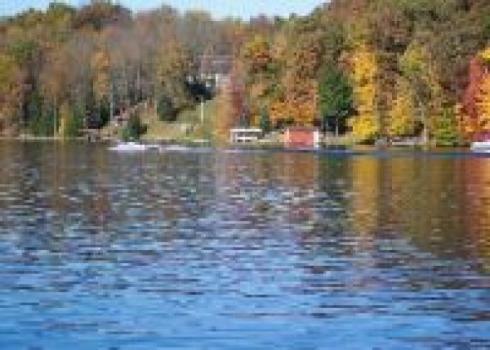 Nestled in the rolling hills of southern Holmes County, Lake Buckhorn is a short drive from the historic Village of Millersburg- the Holmes County seat. Framed by the idyllic Amish farms of the Becks Mill valley, the rugged hills and woods of the Killbuck Ridge, and an eighteen hole golf course, Lake Buckhorn is an ideal setting for a weekend cabin, retirement cottage or family home. With 196 residential dwellings dispersed over the developments 1200 acres of pristine woodland, Lake Buckhorn provides a rare blend of privacy and community that are unparalleled by any rural subdivision or urban development. 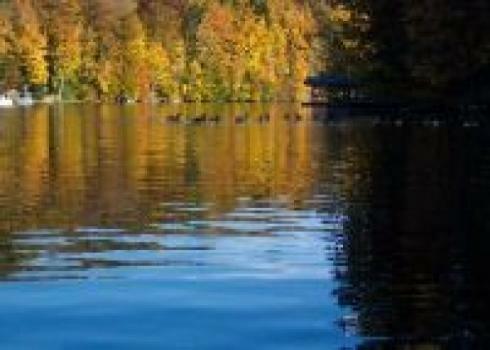 Lake Buckhorn is a private community centered around a 220 acre spring-fed lake. The development includes several picnic pavilions, two fishing ponds and a lake hall which can be rented for event hosting. Residents enjoy fishing, skiing, paddling, swimming and boating on the lake during the summer months and skating, cross-country skiing and ice-fishing during the winter. In addition, fitness enthusiasts appreciate walking, running and bicycling on the development's 35 miles of speed-controlled roads, safe from the traffic of the public highways. Nature lovers admire the many species of waterfowl, songbirds and deer (often from the comfort of their back porch) that make their home at Lake Buckhorn. A geologists dream, nearly everyone appreciates the massive fossilized boulders - remnants of a centuries old glacial melt- that pepper the wooded hillsides surrounding the lake. Lake Buckhorn is located within the West Holmes School District - home of the newly constructed West Holmes High School. West Holmes School District provides first-rate academic and athletic opportunities for aspiring students of the area. 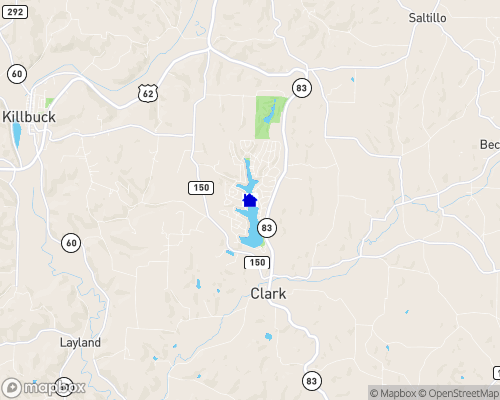 Situated in Mechanic Township on State Route 83, Lake Buckhorn is located eight miles south of Millersburg, which is host to a portion of the Holmes County Trail - a twenty-seven mile recreational trail that traverses one of the States largest wetlands. The trail crosses the Marshes of the Killbuck valley and winds through the sandstone walls of Baddow Pass on its way to its terminus on the banks of the Mohican River. Lake Buckhorn is also only 10 miles from Berlin - the hub of Ohio's Amish community and home to many accomplished woodworkers and builders. In addition, Lake Buckhorn is located 18 miles north of Coshocton and Roscoe Village - a living-history village that offers historic demonstrations, education, fine dining and arts and crafts retail sales. Depth of Lake: 55 ft.